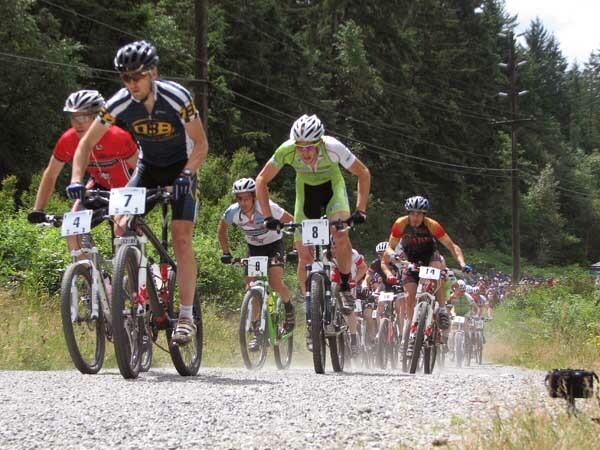 B.C.’s provincial XC championships were awarded on Sunday, June 28th at West Coast Racing’s Cardiac Classic presented by North Shore Bike Shop and Hansen Industries, but the day belonged to New Zealand’s Team N-Duro/CabinRacing.com. The Kiwi tandem of Mark Leishman in the Pro/Elite Men’s event, and Nic Leary in the Pro/Elite Women's, matched each other with wins in the marquis events, overcoming a challenging course and local competitors. Thomas Skinner riding for Oak Bay Bikes/Specialized and Joele Guynup representing the Island Racing Club vanquished the remaining contenders, earning the provincial champions’ jerseys. Lauren Rosser from the powerhouse junior development program of Team Squamish, and Sebastien Sleep of Rocky Mountain-Different Bikes took home the junior titles with virtuoso performances, easily distancing their respective fields. Over 150 racers participated in the championship races, enjoying excellent racing temperatures and sunshine, which eventually won the day over foreboding early clouds and a brief sprinkle of rain before the first start. Free kids’ non-competitive events held on a pair of progressive, scaled down courses saw over 20 racers of the future put their skills and lungs on display. In the Men’s Pro/Elite event a small group drew each other out early, shedding their fellow racers on a redesigned course that compacted more technical elements into a shorter loop for 2009, bringing close quarter racing action to a crowd of enthusiastic spectators, and provided an ideal test for determining the most well-rounded rider of the day. Eventual winner Mark Leishman provided his own recap. "The course was a fantastic XC layout. Tough climbs, technical descents, and more than enough roots to ensure you were concentrating. The top 3-4 men were so evenly matched today that thankfully I had good legs, and definitely benefited from riding a Niner on such technical trails. I think when it came down to it on the last lap, I just had that wee bit more left in the tank, and wasn't feeling quite as beaten up as the others." Women’s Pro/Elite winner Nic Leary matched her fellow New Zealander’s feat on the slopes of Burnaby Mountain’s urban trail network. "The course was as interesting as it was testing” commented Leary. “I had to be careful not to get too keen early on as the last part of the climb through 'Mel's trail' zapped the legs a bit more each lap, and being strong on the final lap was necessary to keep clear of Joele who had me working throughout, it was great”. Keeping up her end of the bargain, Joele Guynup of the Island Racing Club pushed Leary from start to finish, rightfully earning her B.C. championship. Aside from pro/elite prize purses courtesy of Hansen Industries, and a virtual truckload of prizing from North Shore Bike Shop (2 complete GT and Jamis race bikes as grand draw prizes! ), Race Face, plus Ryders Eyewear, Cycles Lambert, Schwalbe Tires, ATAC Sportswear, and Whole Foods also pitching in to the haul with many fine product prizes. Tech support on-site from Lambert ensured any needy race bikes received last minute attention. 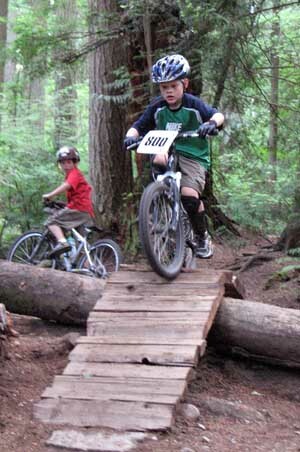 Thanks also to Burnaby Mountain Bike Association (www.bmba.com), Burnaby Parks, and Cycling BC for their support of the Cardiac Classic. West Coast Racing is a community cycling club operating as a not-for-profit society run entirely by volunteers from within its membership. 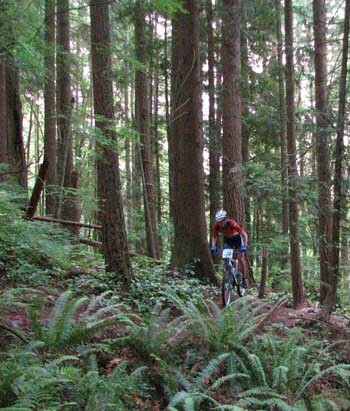 In addition to hosting several events, West Coast Racing’s own member activities include outdoor and indoor cycling programs year-round for mountain bikers, road riders, and cyclocrossers including group rides, training programs, bike fits, skills clinics and fitness assessments. Watch for WCR’s long-running Vanier Park Cyclocross Classic in the fall of 2009, at www.westcoastracing.ca.